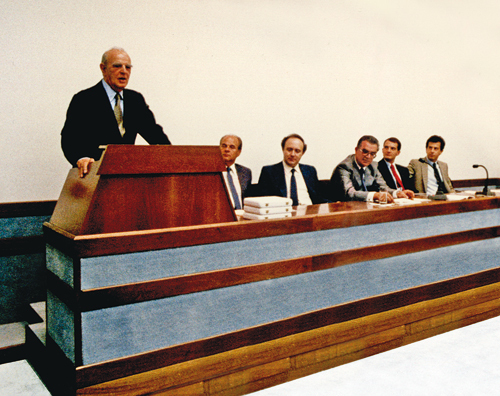 Konstantinos Karamanlis responded positively to the proposal and proceeded to the establishment of the Foundation, in the conviction that “History must not be forgotten” and that “the teachings of history are always opportune”. His decision to entrust his political archive to a non-profit Foundation to bear his name, was a pioneering act and contributed decisively to a scholarly approach of essence toward the problems of contemporary Greek history. His example was subsequently followed by other Greek politicians, and the foundations established with similar characteristics are evidence of Karamanlis’ timely response to the general spirit reigning at the time. The Foundation is a legal entity under private law subject to the legislation regarding non-profitable foundations. Its establishment and operation is exclusively dependent on the financial support of private individuals, Karamanlis’ close relatives and friends. The first chairman was Konstantinos Tsatsos, today Chairman of the Board is Ambassador Petros Molyviatis, Deputy Chairman Achilleas Karamanlis and General Manager the academician Konstantinos Svolopoulos.. 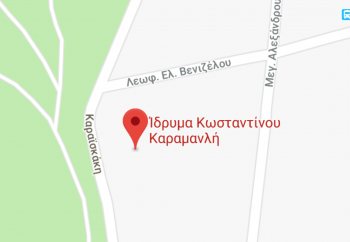 The building housing the Foundation in Philothei, designed by the architect Iason Rizos, stands on wholly privately owned land, donated by Konstantinos Karamanlis himself at the same time as his personal archive. 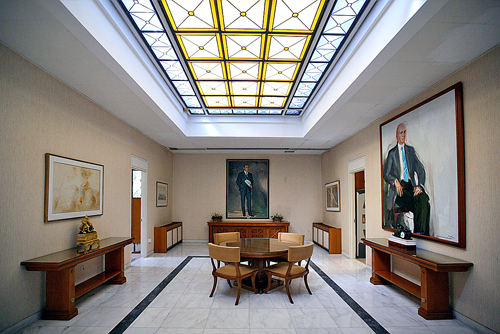 Building work was completed in October 1987 and there ensued the installation, equipment, the supplementation and systematic organization of the archive and the library, with the contribution and precious assistance of close friends of the President – primarily of his brother Grammenos G. Karamanlis. 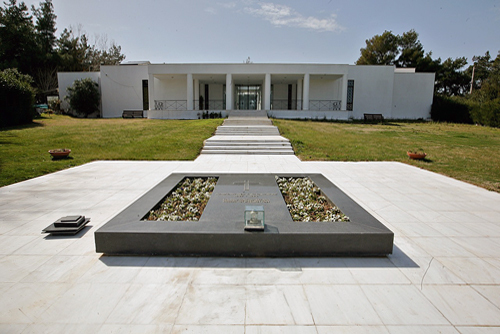 According to his own wish, Konstantinos Karamanlis was interred in the grounds of the Foundation on 24 April 1998.